Young America's Foundation scored a major free speech victory Monday over the University of California-Berkeley. After losing a lawsuit filed by YAF, the university must pay the organization $70,000 and rescind policies that discriminate against conservative speakers on campus. "This landmark victory for free expression means UC Berkeley can no longer wantonly treat conservative students as second-class members of its community while ignoring the guaranteed protections of the First Amendment," YAF released in a statement. "No longer can UC Berkeley place a 3:00 p.m. curfew on conservative speech. No longer can UC Berkeley ban advertisements for Young America’s Foundation-sponsored campus lectures. And no longer can UC Berkeley relegate conservative speakers to remote or inconvenient lecture halls on campus while giving leftist speakers access to preferred locations." 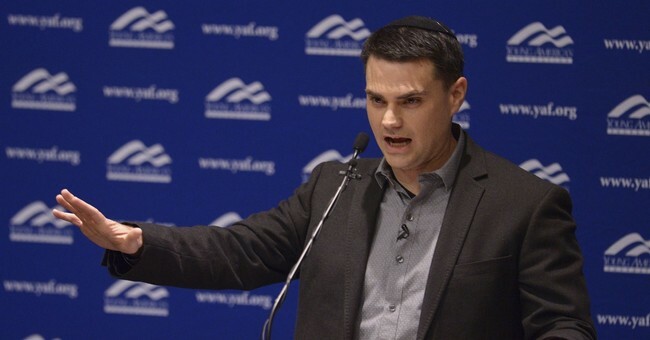 "Further, the policy that allowed Berkeley administrators to charge conservative students $20,000 for security to host Ben Shapiro—an amount three times greater than the fee charged to leftist students to host liberal Supreme Court Justice Sonia Sotomayor—is gone. YAF and UC Berkeley agreed to a fee schedule that treats all students equally. Unless students are handling money or serving alcohol at an event, the security fee will be zero," the statement continues. "This win for free speech—a blow to radical Antifa mobs—means university facilities will be available to students on a first-come, first-served basis. No longer will the community’s reaction to speech be factored into decisions regarding lecture venues, meaning intolerant leftists cannot use the “heckler’s veto” to determine who is allowed to speak or where they’re permitted to appear." The lawsuit against Berkeley was fought by The Dhillon Law Group on behalf of YAF. "This landmark settlement means that all students at UC Berkeley now have the exciting opportunity to hear a variety of viewpoints on campus without the artificial tax of security fees selectively imposed on disfavored speech,"The Dhillon Law Group managing partner Harmeet K. Dhillon released in a statement. "Today's settlement will have a liberty impact on generations of students at our state's leading public higher education institution. I'm grateful to YAF and BCR for their courage and leadership on the fundamental issue of free speech on campus. The impact of this settlement cannot be overstated." YAF continues to fight for free speech on campus across the country and regularly brings conservative ideas to students.